只有某些国家或地区的标致客户可在购买汽车时选择此选配件。标致公司正尝试扩大其应用范围，但除其他因素外，具体还要取决于与本地 PSAP（公共服务响应点）的协议，然后才能从制造商的呼叫中心接收通知。 The system relies on mobile network (GSM) coverage in order to be able to work. 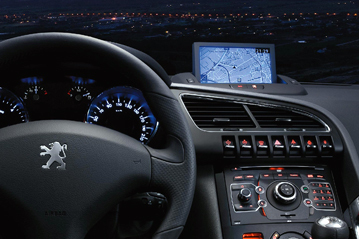 Peugeot Connect SOS can roam and connect to any available network, unlike most personal mobile phones. While most of Europe is served by at least one network operator, there remain some areas where no such connection is possible. Such areas are likely to be remote and poorly populated, precisely the sorts of areas where an automatic emergency call system could provide the greatest benefit. Nevertheless, it may be possible to send an SMS even when no phone connection can be established, as text messaging requires much weaker network coverage.